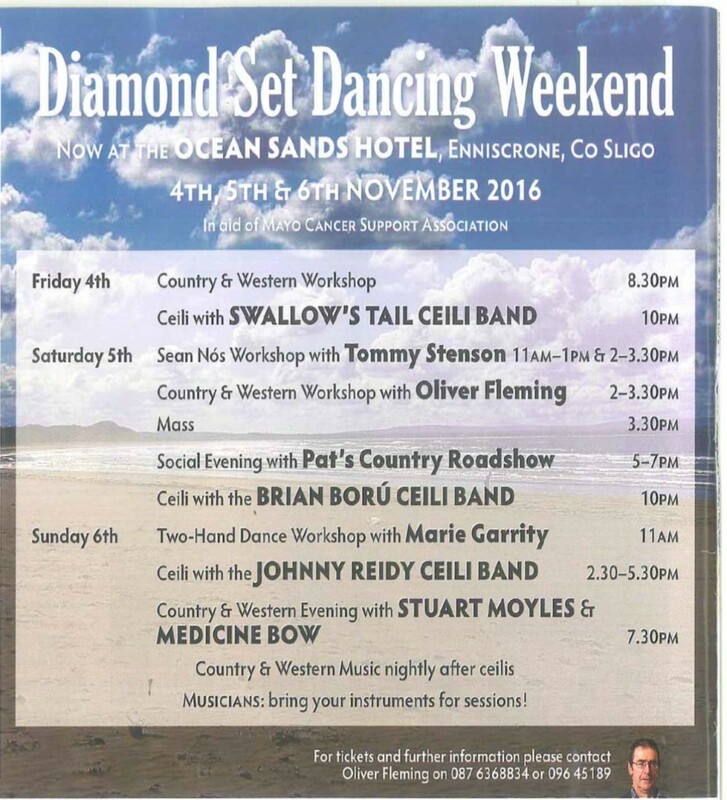 This year’s Set Dancing Weekend takes place in the Ocean Sands Hotel, Enniscrone from 4th to 6th of November. As usual it will be a great weekend of music, dancing and fun. Contact Oliver at 087 6368834 for further details. All proceeds to Mayo Cancer Support Association.